All public companies face the challenges of helping the investment community understand their business—how they’ll grow, how fast they’ll grow, what investments are required, and what kind of volatility there may be in their financial results. Those companies that can effectively communicate how they will grow, and then execute predictably, have the greatest potential to earn higher-than-average valuations over the long term. The practice of providing financial guidance is a powerful tool for helping the market realistically frame its expectations for your performance, as well as for decreasing the likelihood that your actual results will miss the Street’s expectations in the near term. And indeed, according to IR Magazine, 68 percent of companies worldwide provide earnings guidance to investors at some point during the year, to create greater transparency for their shareholders and analysts. But the practice can often create its own challenges, both obvious and unexpected. Companies that opt not to guide the Street often argue that, “If we don’t provide guidance, we can’t miss the numbers.” This argument may technically be true, but the fact is that even in the absence of guidance, both sell- and buy-side analysts will create an earnings model to place a value on the company, and the estimates published by the sell-side will become the expectations that you will be measured against. Without some guidance provided by the only source that truly knows a company’s likely financial performance (i.e., the company itself), the risk of one or two analysts publishing outlier estimates and affecting consensus numbers increases, and the company could have a great quarter based on internal expectations, but nonetheless “miss” the Street. To avoid this problem, we recommend to our clients that they proactively manage the Street’s expectations by providing guidance. The ultimate goal when considering how to provide guidance is to create transparency and visibility for the Street. We believe the greatest challenge companies face in achieving this goal are: (1) what type of guidance to provide, (2) what metrics to base guidance on and (3) how to avoid letting current expectations drive the guidance process. The metrics that you guide the Street to will vary dramatically by the type of company that you are and may change as your business evolves. For example, a pre-revenue life sciences company may guide on operating expenses or cash burn, while a mature healthcare services company may choose to guide on revenue by division, gross margin, operating expenses and tax rate. It is important to note that providing guidance doesn’t mean giving every detail. The best approach, in our experience, is to provide the key information that analysts and investors need to understand the trends of your business, not necessarily every line of the P&L. It is crucial that guidance describes a credible and achievable perspective on a company’s underlying fundamentals. Too often, we have seen management teams or Boards provide “aspirational” guidance that presents a more optimistic perspective on the business than is warranted. This typically happens when a company is setting annual guidance and the current estimates that exist on the Street are higher than numbers that can reasonably be achieved, or when a company has historically grown at a higher rate than is expected in a given year and worries about having to own up to slower growth. It is important to realize that while the Street will evaluate and react (maybe negatively) to the guidance you provide, the most important measure is whether or not you actually meet or, better yet, beat the expectations you have set. The Street expects that if you provide a number, you are highly confident that you can achieve it. Regardless of how bad a guidance number might seem and how much you might hate delivering it, it is much better to provide realistic guidance, be clear about the underlying trends in the business that are driving the guidance, and take your medicine upfront. Nothing kills confidence in a management team (and destroys your stock price) quicker than missing guidance. 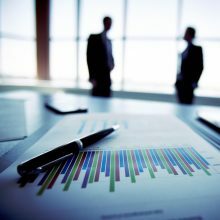 At Westwicke, we help companies answer the unique investor relations questions involved in planning to provide guidance. Contact us for more strategic information that can help with your IR planning and decision making, and sign up for our newsletter to learn more about best practices in investor relations.